This is one of those topics that everyone has a view on. But what do real-world modellers prefer? 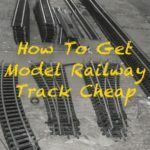 Here’s what other modellers said when asked on my Model Railway Engineer Facebook and Instagram pages. Dave B. captured a common theme, with “DC sooo simple”. 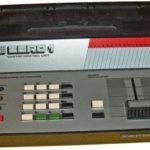 Phil R. on my Facebook page summed a commonly viewed problem with DCC, saying that he’d “considered going digital, [and] even bought a controller and a loco to try it out” but then thought again. 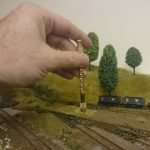 David A. said “mine is DCC, although, I do have a small mountain railway on the same layout to run my old 00-9 Lilliput set from when I was a child 35 (or so) years ago. The main DCC layout is all N gauge and I think digital is defo the future — easier to run and control locos”. As did David R. explaining, “I have found it [DCC] more controllable for slow running and I like the acceleration and braking control. David A. added “then there’s the sound aspect to bring greater realism. I’ve just ordered my first sound chipped DMU from Graham Farish for delivery at some point!”. But they still have some way to go to compete with DCC sound, especially the recent Hornby TTS DCC sound chips which, with prices of around £40 and range of sound effects including sounds you can almost see, are proving very popular. Another often overlooked point is that DC trains often run better once converted to DCC. 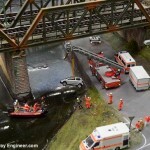 I discussed this with one of the exhibitors at the Solent Model Railway Group’s exhibition on 24th/25th February. For some reason, the DCC chips seem to make the motors of locomotives run smoother and more reliably. Neither of us could put our finger on why this is but it’s definitely an advantage. (If anyone knows why this is please share your wisdom below in a comment). This is a particularly attractive option if you have a lot of older locos but want the benefits of digital control. Split up the wiring, with some circuits analogue and others digital. As long as they’re kept separate there’s no problem in doing this. It’s a neat solution to use allowing you to upgrade an old fleet over time and it’s what I’m doing with an N gauge layout. DCC is seen as the future while DC is still the most popular right now. Especially, for those with lots of existing locomotives or points to upgrade. The low cost of DC being the biggest advantage but the fine control, especially at slow speed, together with ease of operation when running more than a few trains and of course the bells and whistles make DCC increasingly popular. Particularly if starting from scratch. Do you enjoy the digital effects and multi-train precision control of DCC or are happy with the cheap and cheerful simplicity of DC model railways? Have your say in a comment below or join in the conversation on my Facebook page. I’m 67 this year and have been building “00” gauge layouts of increasing complexity for 40 years. I have all the bits needed to create a DC system and the current (maybe the last….?!) 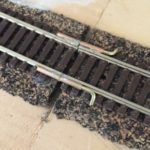 layout has several hundred metres of wire feeding the track sections and the motors of c.60 points/slips. I’ve enjoyed the hours spent with soldering iron and the satisfaction of seeing trains run to my design. I’ve no intention of going DCC any time soon although I can see its attractions; call me a dinosaur, by all means. 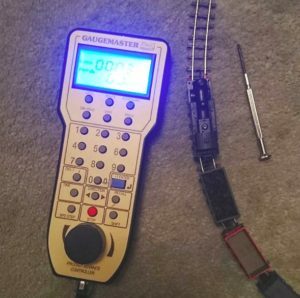 I also find that i can achieve satisfying slow running with my ECM and Gaugemaster controllers. 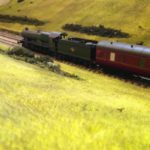 Some of my efforts can be seen on You-tube (search “Blackford and Hinton” for the now demolished previous effort) whilst my current layout in progress following house-move is partially documented as a blog on RMWeb under my pseudonym of “Steamfinale”. Hi, I’ve use both and they each have their advantages. The idea here was to show the benefits of both and what various modellers like for each. 60 points??? That’s some wiring, especially in DC. Do you have the wiring diagram for it? (to help others, I’ve added a hotlink to your youtube channel so it can just be clicked on). Any one with any DCC 3 rail experance? Is it even feasible allowing for track. In theory it must be possible. Just wondering what had been tried. Hi Andy the more read the more confused I get lol. Just starting out ,board should be finished at the week end . I had an idea track quality was the problem may be not. 20 volts constant I suppose could be better. Thinking of the old Zero 1 system. Have all 3 rail these days. 90 % hornby 00. Have considered DCC for them over the years but never actually tried it. I’m 74. A lot of DC stuff over the years, plus picking up real cheap engines on EBAY, etc. Such as shays, heislers, climaxes. Will have an outer “loop” or 2 for DCC sound to please the Grandkids (and great grandkids.) Otherwise I enjoy the building of freight cars (wood), buildings (all wood), a couple of FSM and Sierra West structures. Running/operating is secondary to me. Creating scenes is most fun for me. Whatever floats your boat. Re: Your question as to my preference, DC or DCC. I have too many engines that are DC only. Not going to convert them now. As I said, my enjoyment is building/creating scenery. The DCC is to capture the attention and give enjoyment to the young’uns with the sounds. Hopefully, they will start to enjoy model railroading and create a layout of their own someday.. Get them off the video games into mental Imagineering.